Be INTENTIONAL about reconnecting with God and His Word this week! 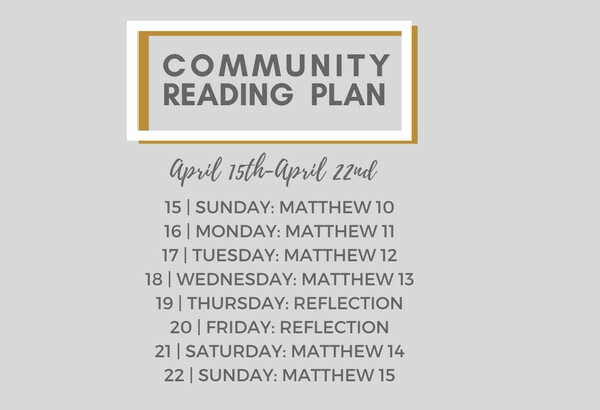 The Community Bible Reading Plan is a great place to start. Follow along each day online, in your bulletin or on the YouVersion app. We can’t wait to hear how God transforms your week as you spend more time with Him!